This is an optional upgrade and can bolt on directly to the current AV130 gimbals. 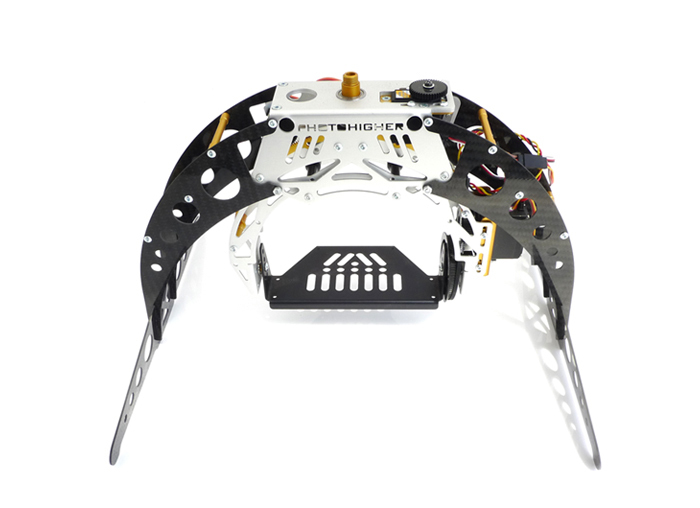 The gimbal is also supplied with an adaptor plate for the Droidworx multi-rotor frames. Landing gear is constructed from 70% carbon Fibre 30% glass fibre. This helps give the carbon fibre some toughness and flexibility for heavy landings.